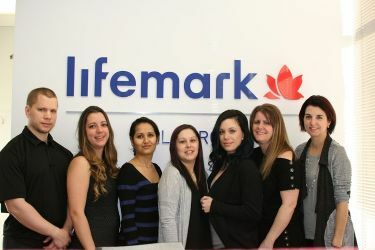 Lifemark clinics have been proudly servicing the Sudbury and surrounding community for more than 20+ years. And, our standards are high. At Lifemark, delivering the highest quality of patient care is at the heart of what we do. As a trusted and preferred health care provider of Glencore and Vale, we are committed to delivering the highest standards in the Sudbury and surrounding community. Our Val Caron clinic is CARF (Commission on Accreditation of Rehabilitation Facilities) accredited which is an internationally recognized accreditation of rehabilitation practices. 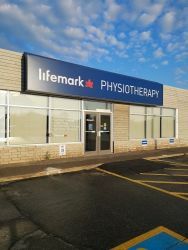 Lifemark Physiotherapy Val Caron has been established in the Sudbury Valley since 1994, and offers a range of physiotherapy, massage therapy, occupational therapy and other related rehabilitation services. A course of treatment will start with an assessment, followed by the clinician discussing with you the issue and possible treatment choices. This may include acupuncture, electro-modalities, manual therapy, sports taping, K-taping, thermotherapy, and the prescription of progressive exercises to provide symptom relief and restore function. 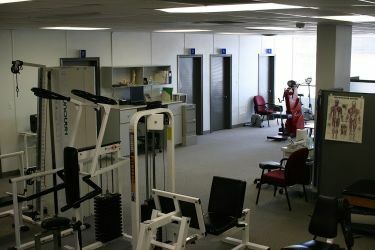 Most of all, clients will receive the tools and knowledge to reach their rehabilitation goals. 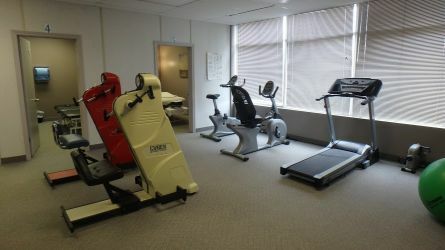 Our Sudbury Valley facility includes a full rehab gym as well as private physiotherapy and massage treatment rooms. Please note: We are closed each day from 12pm to 1pm for lunch. 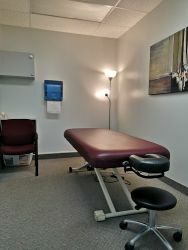 Massage therapy appointment times are available on Wednesdays: 8am to 12pm and 1pm to 7pm. 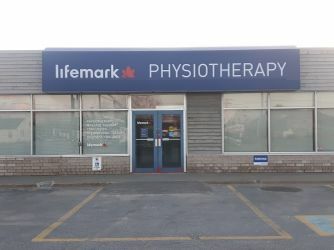 The clinicians at Lifemark Physiotherapy Val Caron can treat motor vehicle injuries, sport injuries, work-related injuries, post-surgical pain and mobility restrictions; as well as pain and dysfunction that can occur without injury. Our facility offers vestibular (dizziness/balance and vertigo issues) and TMJ rehabilitation, as well as offsite workplace assessments. Our occupational therapists provide occupational rehabilitation and work conditioning programs. 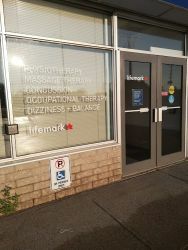 Lifemark Physiotherapy Val Caron has bilingual staff members who are pleased to serve in French or English. 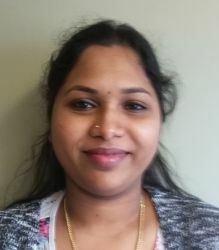 Our friendly and skilled multidisciplinary team includes a massage therapist, an occupational therapist, two exercise therapists, three physiotherapists and a wonderful customer service representative, all here to assist you with friendly smiles and words of encouragement.